The Middle Earth Roleplaying Project is a rather glorious Skyrim mod, designed meticulously to recreate Tolkien's world. 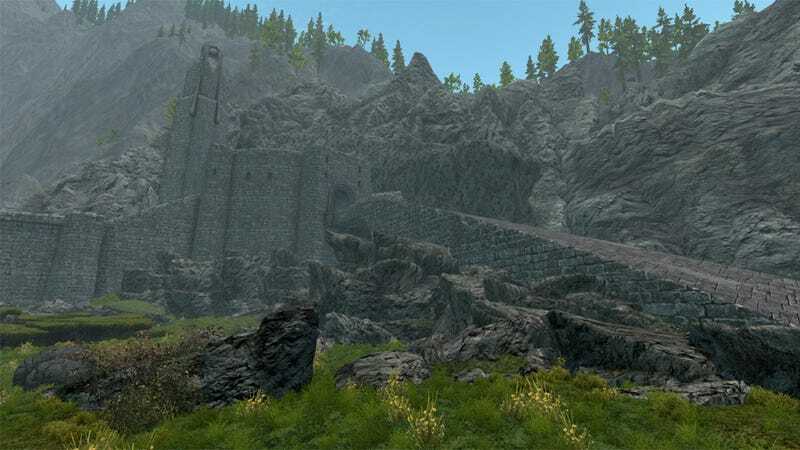 Alas, the project—which began as an Oblivion mod, and has been in progress for years—may never be finished. The team behind the project has apparently received a Cease & Desist letter from Warner Brothers, and as a result has had to stop work on the mod. As one modder explained on Bethesda's forums, "Changing all copyrighted content is not an option for us, once all the names and such are different it wouldn't feel like LotR anymore." Meanwhile, for lovely images of what might-have-been, the project site is still live.